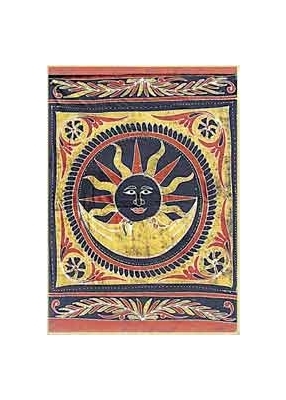 This beautiful tapestry features a sun rising above the moon. This tapestry measures approximately 54" x 86" and hangs vertically. Perfect for any bedroom, dorm room, to throw over your bead spread or to throw over your couch to add a touch of color and intrigue.